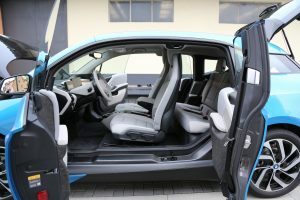 One month with the BMW i3 – The best car you’ll ever own? First of all a disclaimer: It has only been a month since I picked up my new bimmer*, so please take all my thoughts with a huge grain of salt. As with every new thing, there‘s a substantial learning curve attached to it. Things that bother me today, might have simple solutions that require experience and a shift in my mindset. I‘m pretty sure, things will look differently in 6 months time. And last but not least, some things I will mention in this article are my personal opinion and might differ for you. Please keep that in mind. * Yes, that‘s what people call BMWs. It‘s a term of endearment. Even back when I bought my previous car, a racing red Audi A1 that always stood out wherever we went, I knew my next car would be an electric one. Back then, there were very few electric cars available (I hadn‘t even heard of Tesla) so buying one wasn‘t even an option. Still, I somehow knew that the era of the combustion engine (ICE) would soon come to an end. Little did I know that only a few months later I would fall in love with an electric car. In hindsight, it‘s hard to tell why I knew this, or what I imagined my next car would look like. I only remember knowing that this would happen. And guess what: I was right. Long story short, and I really don’t want to sell you on the i3, it’s a really great idea. An idea that still has some flaws, more on that later, but definitely a great idea executed well. Chevy Bolt/Opel Ampera E: Barely shipping here and unclear future. Is there anybody else worth mentioning? I don’t think so! Hybrids were eliminated from the list right away. In my opinion, they are severely compromised cars, combining the disadvantages of two drive trains whilst making everything more complex (more things that could break). Either get a real EV, or stick with ICEs. 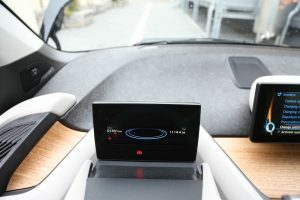 This is, by the way, also the reason why I ultimately didn’t get the ReX (range extender) version of the i3. Why bother? So, after looking at the options, the i3 was the logical choice. And after test driving the i3 twice (once in August 2016 and again in February 2017), I decided to get one. Fully loaded, and as a leasing car. I opted for a two year leasing contract simply because I think technology is still very much changing in this part of the automotive industry and (as with almost every tech product) a lot can change in two years. Now I had to wait 3 months until I could finally pick it up at my local BMW dealership. That day came towards the end of June 2017 and as the EV enthusiasts like to say: I was born electric! 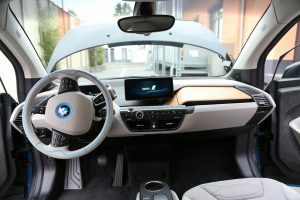 The interior of the i3 is unlike anything you have ever seen. It’s spacious, despite the fact that the car is actually not that big. 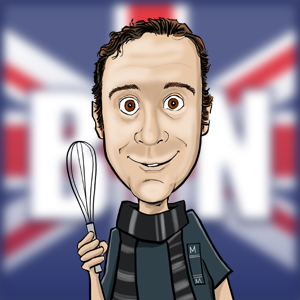 One could say: it’s bigger on the inside! The big screen in the middle and the steering wheel are the only thing that even resembles a traditional interior. Other than that, it looks clean, modern and almost like a space ship. The part I liked the most? The wood trim. See also the gallery at the end of this article. And space. A lot of space. BMW really made sure you will never forget that this car is different. LEDs everywhere to create a futuristic look. 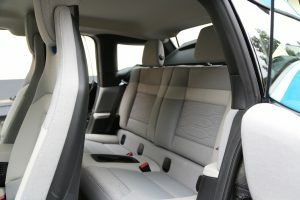 The seats look like the Enterprise-E had a few spares BMW could use for the i3. There is no traditional dashboard, just a set of screens. One for the driver to show him the most important information and one for the entertainment/navigation section. LED head lights. Once you’ve gone LED, you don’t want to go back. Connected Services: Most of them made sense, so I got em. I like my tech, okay? The bigger battery, because why would you take the small one? 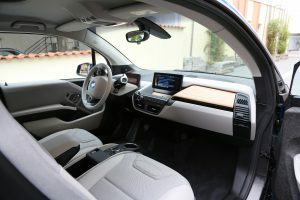 I’m not going to bore you with all the details on what the i3 offers. Let’s just say, there are many options and almost all of them are great. If you’re interested, just google it! 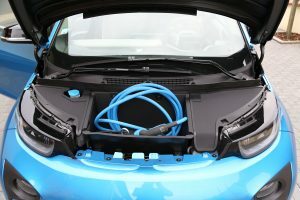 Instead, let’s talk about my experience owning an EV. Let’s get one thing out of the way: Driving an EV is FUUUUUUUUN!!!! It’s really hard to describe. A friend of mine compared it to a roller coaster ride and I think he might be right about that. It’s somewhere in between a roller coaster and an go cart. Nothing comes even close to it. If someone tells you that it’s a completely different way of driving, they’re not lying. forward but also generate energy if needed (physics, people) – so called recuperation – you can effectively slow down the car by simply stepping of the gas, or let’s call it the accelerator since you’re not really burning any fossile fuel anymore. So, without even using the brakes, you can speed up and slow down. With a little training, you’re effectively not using the brakes at all (or very little at most). How does it feel driving an EV? We covered the first one. The second one is pretty boring. Most people only drive 40km per day, so any EV will cover that. And we’ll talk about longer distances in a sec. The last question, is the most interesting one. and I’m going to tell you a secret: If you’re asking that question, you really don’t get EVs. This, honestly, was the bigest epihany, the biggest mind shift, for me. 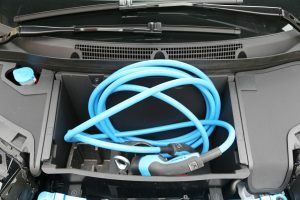 Even asking that question means, that you haven’t realized the biggest advantage of an EV. Of course, it’s totally understandable that people ask that question. They’re used to a certain kind of thinking, one that comes from the way ICEs operate. EVs are different and require a different way of thinking about how you operate them. For an EV, EVERY electric outlet is a charging station! 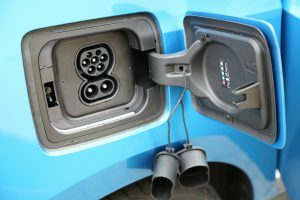 That means, you can charge your EV almost everywhere (in theory at least). 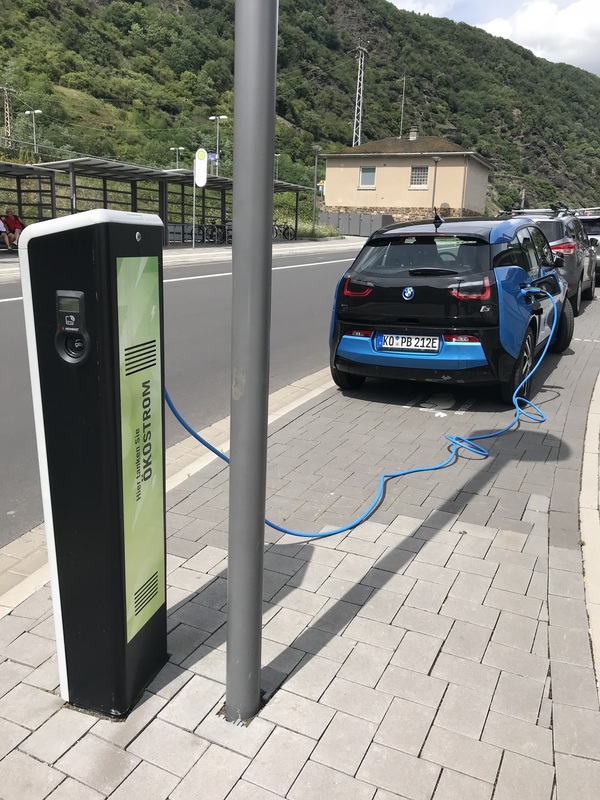 Moreover, since electricity is a) already almost everywhere (in the western world) and b) very easy to transport, you can charge in a lot of places. Fossil fuels (and actually all other forms of gaseous or liquid energy sources, e.g. hydrogen) require you to drive to a place where they’re stored, gas stations, and then pumped into your car. EVs can be charged in a lot more places, and at any time that is convenient for you. So, when people ask me about where I’m charging my EV, they are assuming that it’s as limited as their cars and needs a special place that is dedicated to replenishing the energy stores of cars. Which, EVs don‘t require. Kiss your gas stations good bye. Let’s come back to the second question, the range. Most people cite the low range of most EVs as the biggest downside. And I already established, that most people rarely if ever drive that far. Just like you wouldn’t drive from say Munich to San Francisco (you would rather take the plane), very few people actually drive such long distances without even stopping. Usually, you have to stop every hour or two for at least a few minutes to go to the bathroom and grab something to eat or drink. Now, I’m not gonna lie to you: most EVs, with the exception of Teslas, will require you to stop more often and for longer than you propably would with a traditional ICE car. This is a limitation of current EVs that soon will be gone as proven by Tesla. 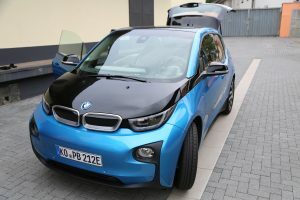 My i3 has a highway range of about 160km at 130km/h (at least that’s what I experienced while driving to the airport and back). Keep in mind, that you will get better range is you drive slower, just like with every other car. If you use a fast charger, you can recharge it to almost full within an hour (again: Teslas are better in this category as they charge way faster if you use one of their superchargers). So, if you really want to drive longer distances, you need to make sure you account for that extra time. Plenty of people have proven that it’s no big deal. 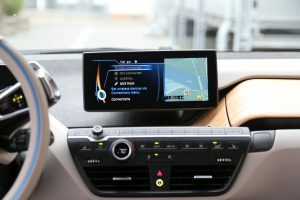 You can easily drive your i3 from Munich to the nothern parts of Norway and back. I can tell you that I have to stop every hour anyway, because I can’t sit still for that long. So, if I use each of those breaks to charge my car, I can drive wherever I want. No big deal. If you truly need a longer range EV, buy a Tesla and not the i3. As I mentioned, the i3 is designed to be a car for shorter distances and cities. That being said, I did not have any issues driving to the airport and back. I stopped at a fast charger, just to be safe, and within a really short period of time the car had been charged more than enough to comfortably drive back home. And the best part: it was totally free! Where the i3, and actually all EVs, really shine is in the city. It’s just more relaxing to drive an EV than an ICE car. No noise, no worrying about burning fuel while you sit in traffic or at a traffic light. When the car is not moving, it doesn’t use much energy (basically just the AC and sound system). As it speeds up effortlessly (I think I mentioned the roller coaster analogy? Yes, it’s really fast!) while being relatively silent you just feel at peace. Speaking of silence: People worry that those cars are too silent. I can tell you, they’re not. Yes they’re more silent at any speed, but you still hear them. Whether it’s just the tyres, or the subtle whine of the electric engine, people will still be able to hear you. Well, there’s actually one thing you can only do in an EV: sneak up on people. If you drive reeeeeeaaaally slow, I mean like 1–2km/h slow, people might just not notice the car sneaking up to them. THen again, who does drive that slow??? And one last point I want to mention: Cost. Yes, EVs are still more expensive to buy, but they’re much less expensive to operate. Maintenance is certainly lower (less parts), and energy costs is lower as well. 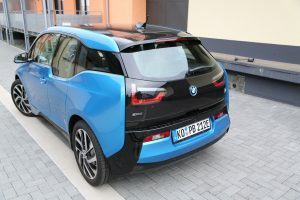 While my A1 came in around 9 Euro per 100km, the i3 on average comes in at just 4 Euro. And that is, if you have to pay for your power, which right now is not always the case. Some charging stations are still free, essentially making it really cheap to drive anywhere you like. So, to sum it up, one month in I’m really happy with my car. It’s such a different experience, that I don’t think I will ever want to go back to an ICE. Electric cars truly ARE the future! Get on board, because this train is unstoppable.